(written by Jen; approved by Ian) The second safari stop on our trip to Tanzania was Roving Bushtops in the Central Serengeti. The Great Migration moves through the Central Serengeti into the Northern Serengeti, where we started our trip. 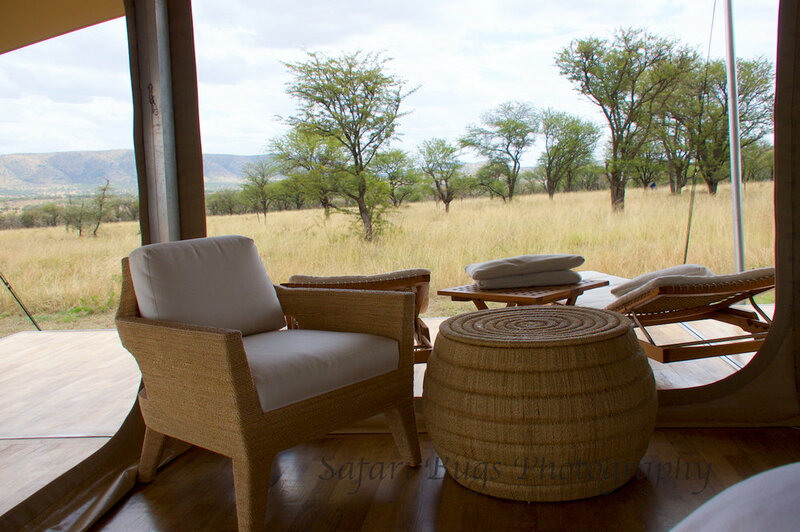 Though the migration had already left the Central Serengeti, our game viewing was excellent. 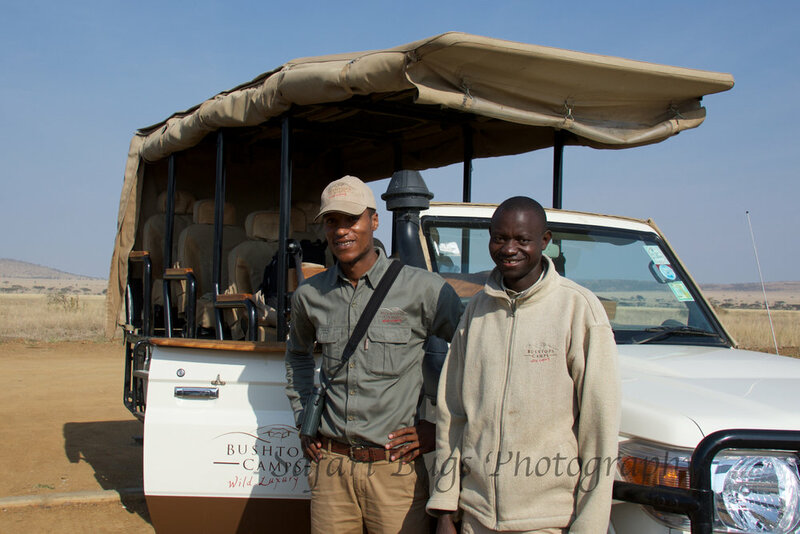 The great game viewing alone would make for a perfect safari, but there was so much more to love--the service, the food, the location, and our "tent." 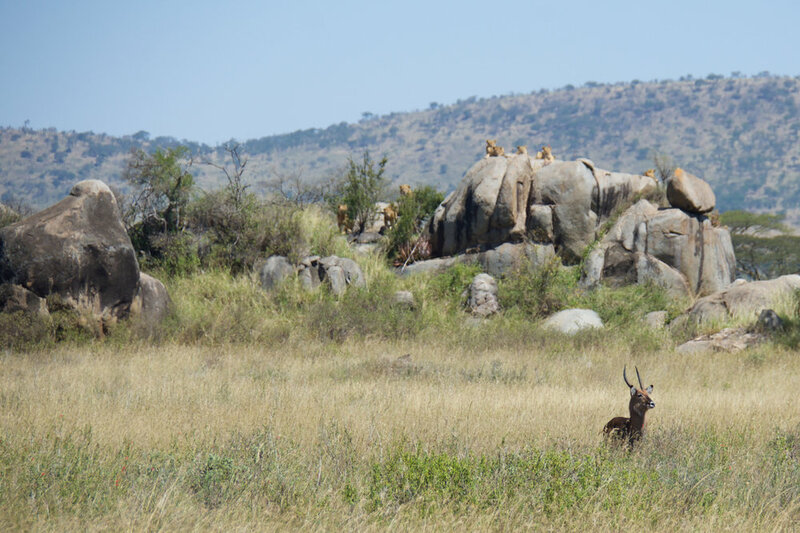 Over our four days on safari at Roving Bushtops, we saw the Big Five (elephants, lions, leopard, buffalo, and rhino), cheetah, birds and a multitude of game animals. The rhino was a very rare sighting, and we were not able to snap a shot as the rhino is under guard to protect it from poachers. So, we didn't exactly want to point my big, black camera at it . . .
Our last morning, we watched an older lioness stalk a lone buffalo bull. What I love about the video Ian took is the sound of the bush and the soft padded walk of the lioness. Tawny eagle catches a cobra. We also had a very unique sighting--an eagle catching a snake. It was hard to get a decent photo, but Ian reacted just in time to get one shot. The food, wine, and service were top notch. We may have even drunk them out of cabernet sauvignon. The menu included such delicacies as tagliatelle with prawns, ravioli en brodo, roast chicken, and tilapia. Massages are available and worth it. The staff came up with a number of out of the box locations for us to enjoy our meals. We had a private breakfast with the sunrise, private dinners on the camp deck, lunch in the bush, a private dinner in our tent, and canapes by our hot tub. The room is like nothing we have ever stayed in before. It has all the luxury you would want--a full bathroom, a hot tub, a big bed, a sitting area, a desk, and plenty of storage space. The amazing part is that all of this comes out of a moveable trailer; it takes small living to a whole never level! Possibly the best part of the Central Serengeti are the views and topography. While at Roving Bushtops, we met a lovely mom with her two teenage children. Roving Bushtops was her only stop in the Serengeti, and her travel agent had assured her that she would see the migration. 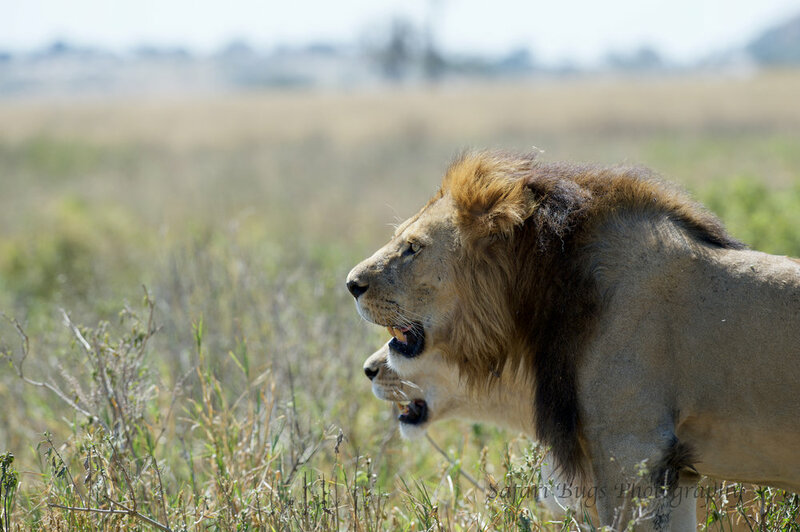 First rule of safari, there are no assured sightings. The migration is not a guaranteed sighting; it doesn't even always happen on a predictable schedule. 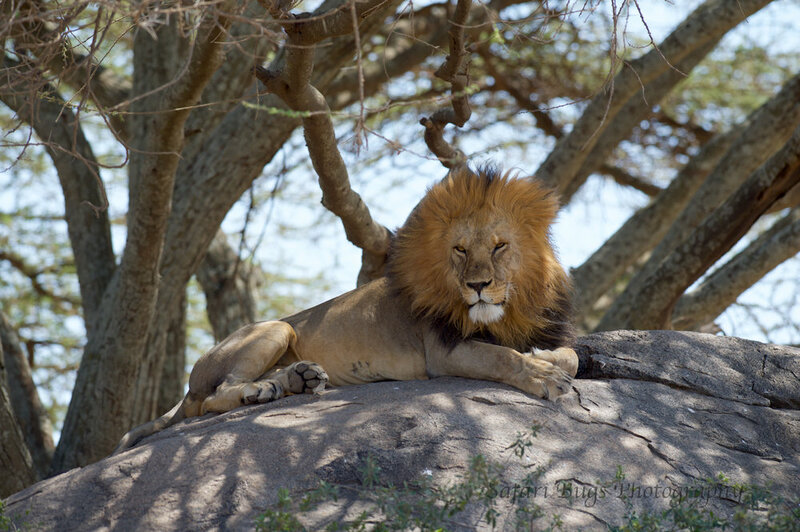 Regardless, the Serengeti is a fantastic destination for safari with or without the migration. But if seeing the migration is a must for your trip to Tanzania, make sure that you stay at more than one location in the Serengeti or the Masai Mara in Kenya to maximize your chances.